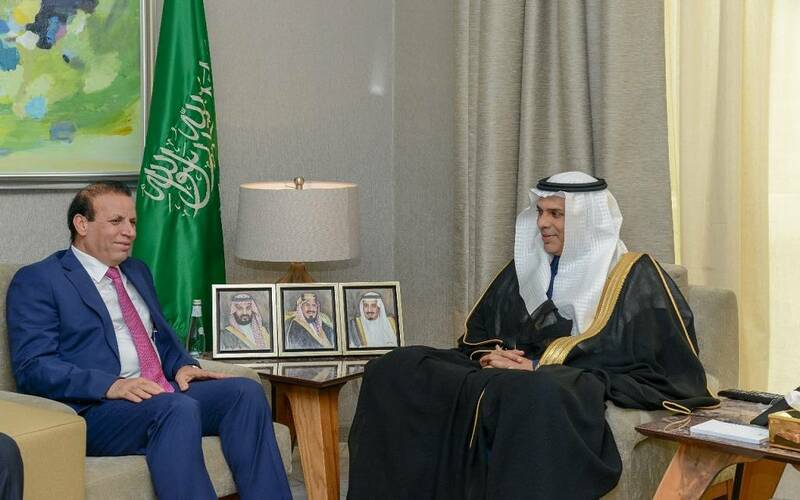 RIYADH: Saudi Transport Minister Nabil bin Mohammed al-Amoudi met with the ambassador of the Republic of Iraq to the Kingdom of Saudi Arabia, Qahtan Taha Khalaf. The Ministry of Transport said that during the meeting, they discussed aspects of cooperation between the Kingdom and Iraq and the development of ways of exchanging experiences between the two countries, especially in the transport sector, as part of the efforts of the Transport Committee. Al-Amoudi pointed out to the need to take advantage of the opportunities available in both countries in the transport sector, which is reflected in the promotion of trade exchange and the development of economic cooperation to reach an effective partnership in the maritime, air and land transport system. The Minister stressed the importance of cooperation between the two countries in the field of maritime transport, in order to enhance transport services between the ports of the two countries, and facilitate and develop them, including support of logistics services and the existence of future shipping lines for the transfer of containers between the two countries. For his part, the Iraqi ambassador stressed the desire of the country and its interest in developing and strengthening various aspects of cooperation with the Kingdom and looking forward to benefit from its experience in the transport sector and logistics. Qahtan Khalaf pointed to the necessity of activating the factors of economic development between the two countries and opening up new horizons and opportunities especially as Iraq is on an important stage and Saudi Arabia has an important role in it and on all levels.